Pour the fresh milk into a large saucepan and place it over a low to medium heat. Stir occasionally to stop it from sticking and keep an eye on the temperature. You want the yoghurt to reach just over 80C. This is really important and ensures the yoghurt will be the right consistency. If your yoghurt ends up being stringy then you didn’t quite reach that 80C. Once the milk has reached the right temperature remove the saucepan from the heat and leave it until it has cooled to 43C or room temperature. If the milk has created a skin just skim this off and discard. It can take a while for the milk to cool down so don’t feel like you have to hang around watching it-it will probably take around 40 mins to reach around 43C. Now take your half cup of live yoghurt and whisk it into the warm yoghurt. I’m quite careful to make sure I whisk out any yoghurt lumps and keep the final mixture smooth. 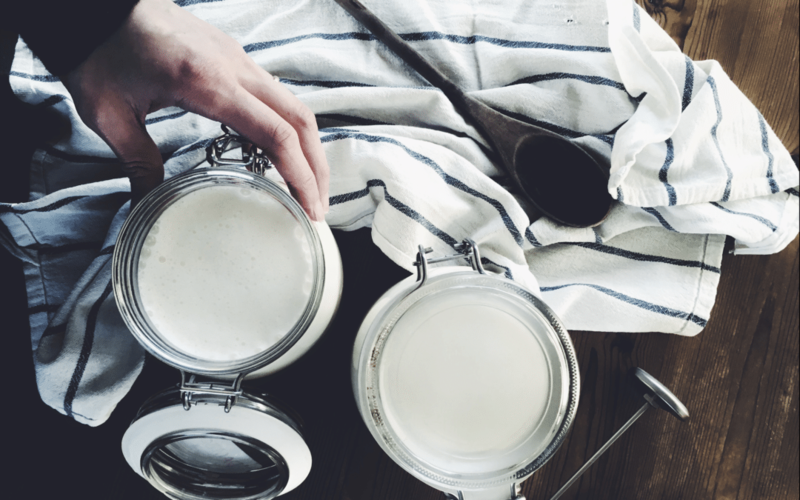 Once combined pour the yoghurt and milk mix into clean, sterilised jars and seal with a lid. Pop the yoghurt into a dehydrator* (these are actually very reasonably priced and very useful! This is the one I use which is a bit pricer but very good.) set at 42C. Set the timer for between 6-8 hours for standard yoghurt or 24hours for a low lactose yoghurt and thicker consistency. 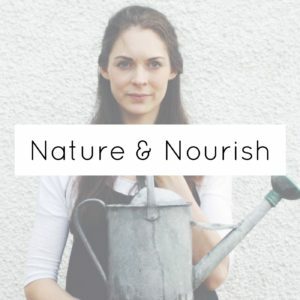 I always make 24hour yoghurt as my toddler is dairy sensitive but can tolerate the 24hour yoghurt perfectly well. 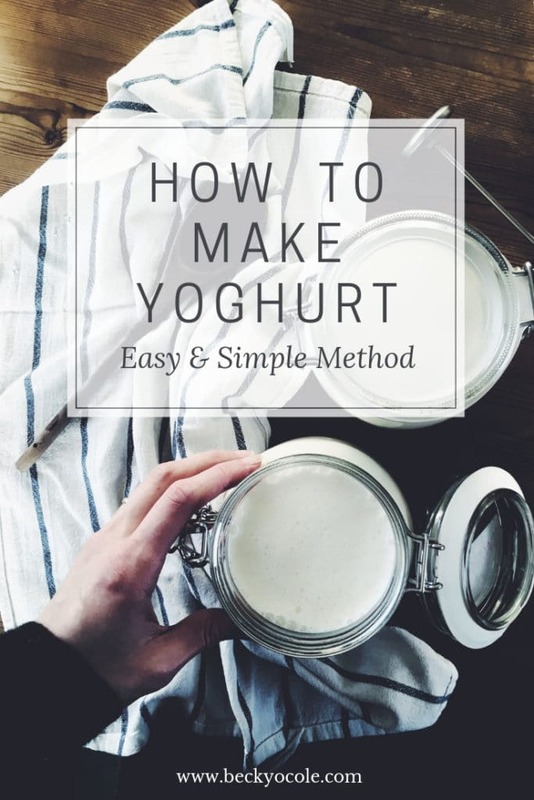 *If you don’t have a dehydrator you can either pop the yoghurt into a preheated (at 100C) but turned off oven with the oven light left on or in a warm place with each jar wrapped in a tea towel. Once your yoghurt has sat for the right time, remove it and pop it straight into the fridge. The yoghurt at this stage will be very runny. But once it’s been in the fridge and cooled down (4 hours or so) it will be a perfect texture. Thanks Becky, will endeavour to try this.